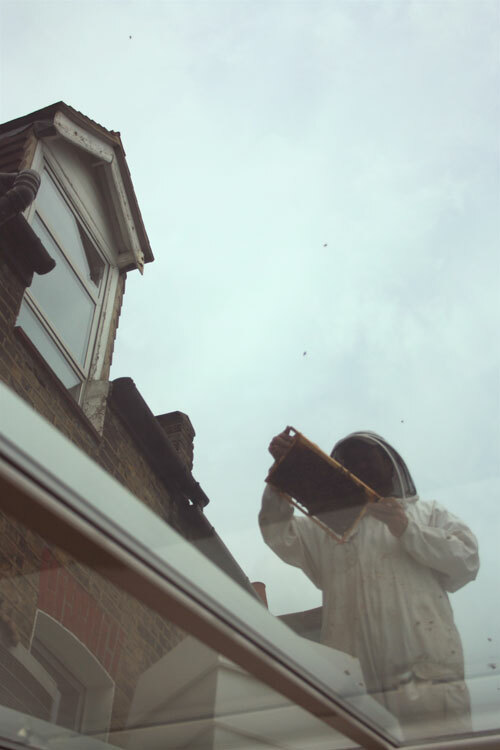 > Urban London Roof Top Beekeeping! You can keep bees just about anywhere really. 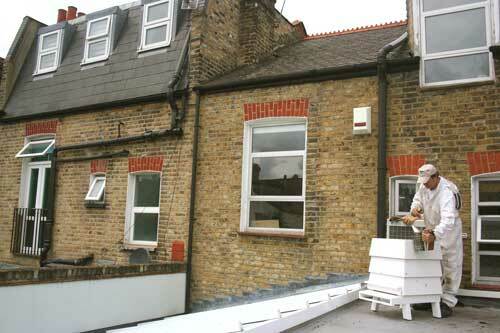 Here’s a few photos of our London Roof Top Beekeeping. 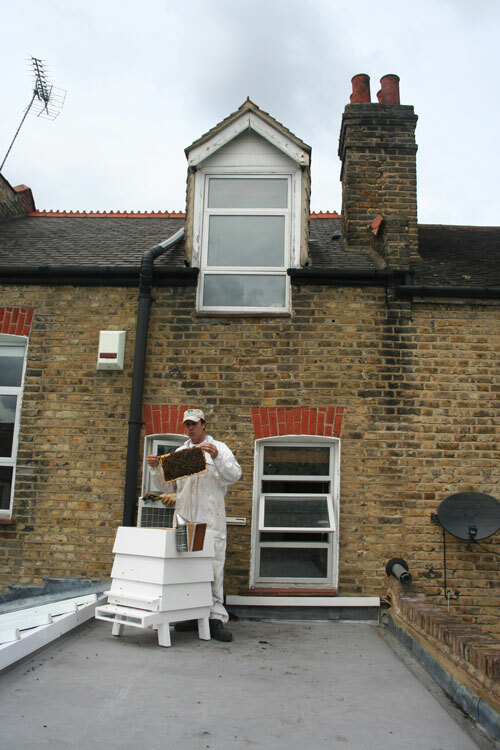 We have been keeping bees in central London for over 25 years with great results and lots of honey! 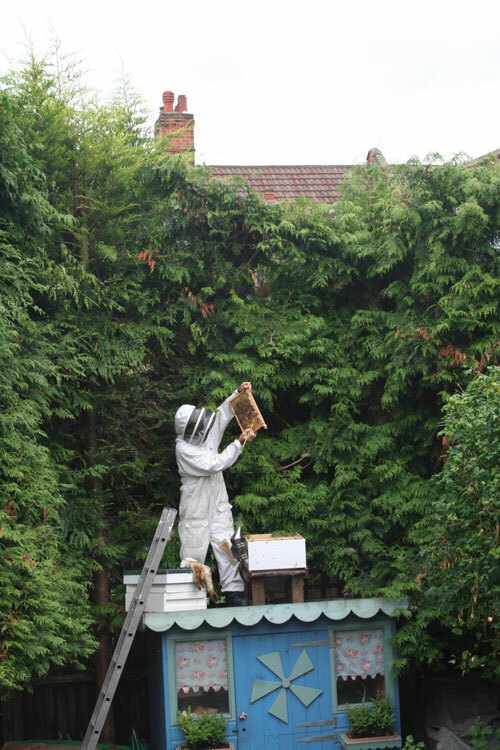 The key point to a successful urban apiary is- Buy bees from a professional bee breeder. Pedigree bees mean calm, docile lovey bees, that make for a lovely beekeeping experience for both you and your neighbours. Don’t be fooled by people offering bees at knock down prices- you get what you pay for. Have an in depth talk with the bee breeder asking them what kind of bees they are, where they come from, how old is the queen bee. Interview the seller and ask lots of questions. Just because they have been keeping bees for 30 years does not mean that they are qualified to sell bees. Never buy a swarm of bees. They are of an unknown origin and of unknown attributes. Next select your site and position the hive so that the flight pattern is pointing away from public foot paths, windows or any area where people will gather. Common sense advance planning is highly recommended. The Hives Rule of Thumb: Out of sight, Out of mind. If people can’t see the hives they will not complain. Most urban disputes come from the public worried that, bees in an area mean stings. UNTRUE. Again common sense management of the hive i.e. pick a good time to open and inspect your hive when there are likely to be few people around. Avoid opening your hive at noon on a Sunday when all your neighbours will be in their gardens. Take a beekeeping course, read lots of beekeeping books, search the web. After you understand what’s involved with beekeeping, then its time to buy the beehives-not the bees! Get all your equipment assembled and in place. Get all your protective cloths, hive tools, gloves etc. Now that you have all the bits and pieces that make up your apiary, then you can plan to buy the live bees. Best time to buy bees is in the spring, around May/June. This gives your bees plenty of time to build up and expand to a full colony before the winter sets in and the population begins to decline in preparation for the winter break ahead. So why not give urban beekeeping a go. Its fun and interesting and bees will find the nectar, you don’t need to plant any special food plants for them. They can fly up to a 3 mile radius. City beekeeping is one of the most practical urban farming pursuits around. 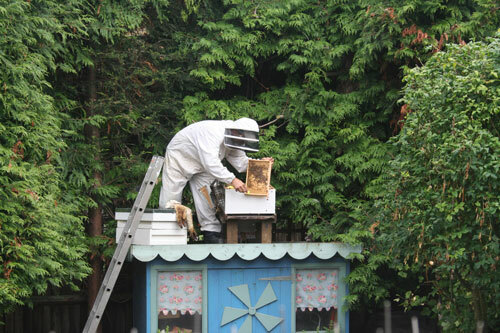 Subject: [Beekeeping with The Hive Honey Shop] New comment on Urban London Roof Top Beekeeping!.